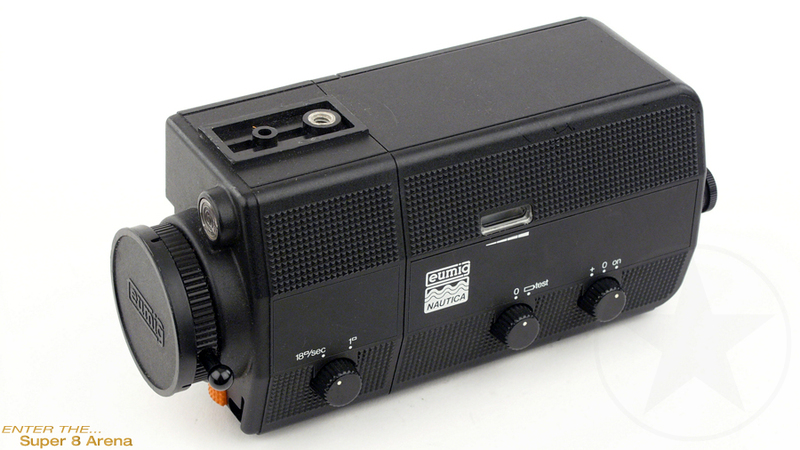 The first Super 8mm film camera that's as adventurous as you are. The world's first Super 8mm film camera that's waterproof to a depth of 130ft Dustproof and sandproof, it's as safe on the beach as it is in your back garden. Eumig's unique PMW lens give three times more coverage than an ordinary lens With auto exposure and focusing (servo-focus) and a f/1.9 9-30mm zoom lens, filming couldn't be simpler. A new experience in filming.